Keynote: How to change colors in the presentation? 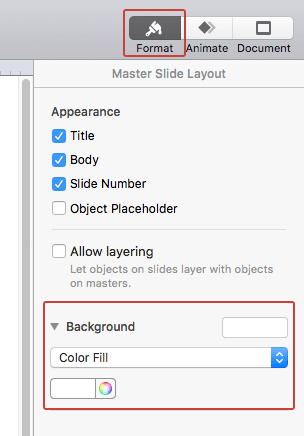 Unfortunately in KeyNote there is no feature to apply the color scheme to all the elements and slides in the presentation at once. Therefore, changing the color of your presentation is quite a laborious process since you have to manually change the color of each element. My presentation are implemented using vector shapes, illustrations, diagrams and infographics. This format allows you to change the color of objects without the need for additional applications (you won’t need Photoshop, all the changes will have to be done in KeyNote). In some rare cases the vector used in the presentation is imported in EPS format. To change its color you will need Illustrator. But this is rather the exception of which I warn you in advance in the description of the presentation. 1. 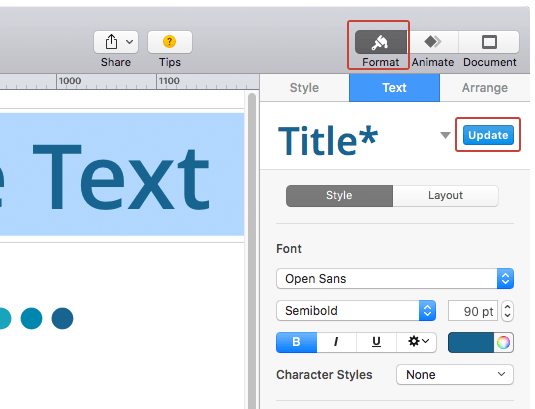 In KeyNote you can automatically change the font type and color of the entire presentation. These changes are made in the master slide mode. To do this, in the top menu select “View” > “Edit Master Slides”. 1. You can change background color for the entire presentation. These changes are made in the master slide mode. To do this, in the top menu select “View” > “Edit Master Slides”. 2. Click “Format” button in the top menu. Note: do not select any objects, otherwise the ability to edit the background will not be available. In “Master Side Layout” sidebar you can change background color. Options available: “No fill”, “Color Fill”, “Gradient Fill”, “Advanced Gradient Fill”, “Image Fill”, “Advanced Image Fill”. 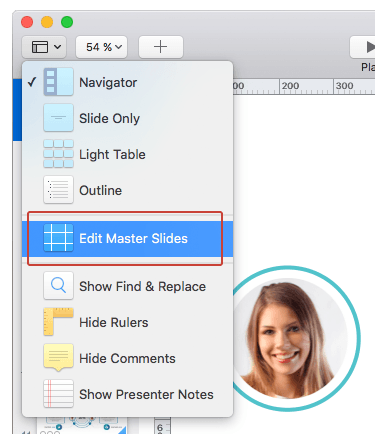 Changes made to the master slide will apply to all the slides in the presentation that use this template as basic. Note: The presentation often uses several master slides templates. So don’t forget to change the background in all your master slides. There is a way to change color of group of objects in presentation at once. You'll need to use Style > [From the styles palette, choose adequate color] > [Right Click on color swatch] > Choose [Redefine Style from Selection] > [Update all objects...] > Confirm.